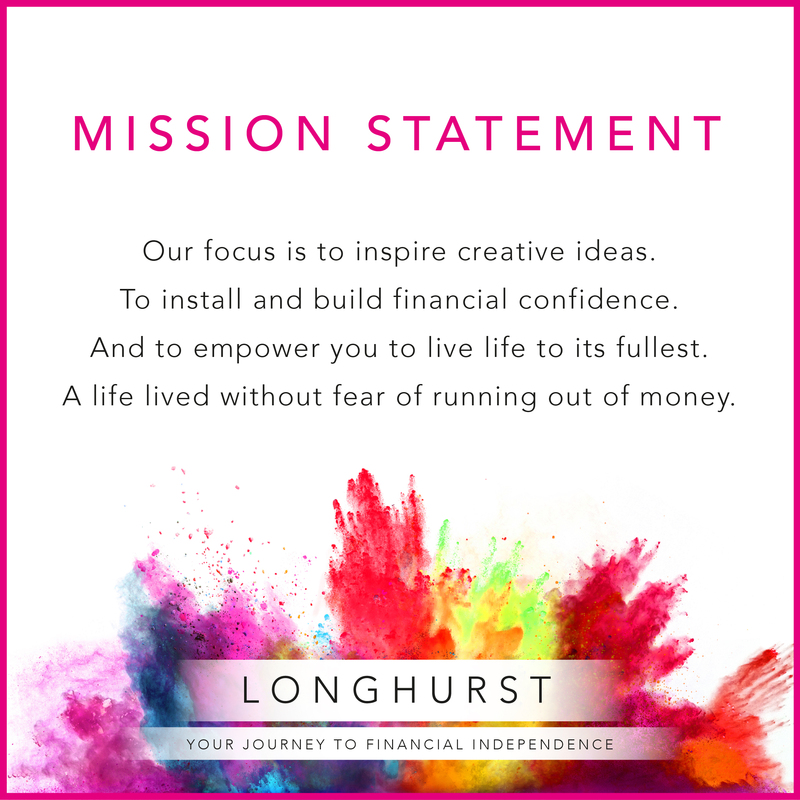 At Longhurst we believe that life is for living and you should embrace every possible moment. ‘Ideas in isolation mean nothing. A life of freedom, to live how you want. A life of security, where you no longer worry about money. A life of choice, where the world is your oyster. A life spent with your family, where time is on your side. 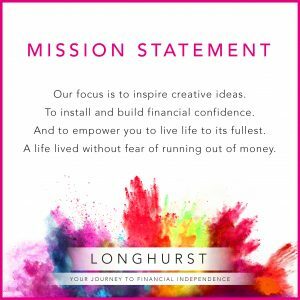 The Longhurst team are firm believers that with the right strategic plan everyone has the power to realise the lifestyle they want for themselves and their family. Throughout our careers we have learned to focus our energy on telling you the truth about your financial position; to help inspire creative ideas; to install and build financial confidence; and to ultimately empower you to live life to its fullest, a life lived without the fear of ever running out of money. It is for all of these reasons that we work as a regulated chartered financial planners. Below you will find some extracts from our team explaining why they do what they do. With our ‘practising what we preach’ hats on, we all agreed that we must be brave enough to demonstrate our own authenticity before we can expect our clients to do the same. “When I was a wee lad I grew up in a stereotypical surburban household with my two older brothers who, along with a father who went to work in senior management, had a tireless mother that stayed at home to look after all of us. As much as a child could think so, I used to think we were financially successful, with a summer holiday each year and my father changing his company car every few. I felt lucky, and I was. However, the memory of my childhood was not the reality that my mother faced, as she would later confide in me prior to her death. She would admit to me that she would spend the good part of her entire adult life worrying that she and my father were not saving enough for their future, but she would always face the same counter argument that ‘they would always be alright in the end.’ When I now search my memory I also recall this statement being made to my mother, and this on reflection would be my first real experience of money and one’s attitude towards it. 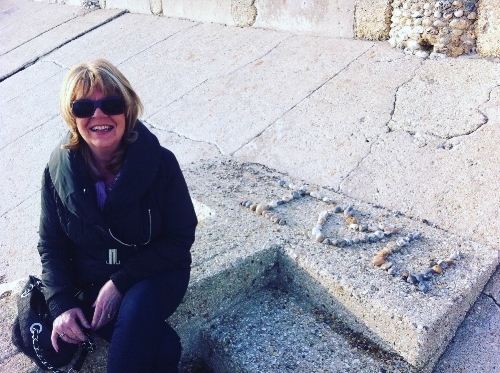 The truth was that it was only following my mother’s diagnosis with terminal cancer, and her decision to divorce my father, that she would then gain personal control of her financial position, and, in her words, secure her version of financial independence. She took control of the life transition placed in front of her and the result was that for the last few years of her life she blossomed into the real Maggie Broome nee Longhurst, like a chrysalis turning into a beautiful butterfly; a rebirth. Witnessing this would have a profound impact on how I viewed money and its true effect on people’s lives. From my earliest memory I’d say that I’ve always been drawn to helping others and am forever fascinated by people. Curious about their behaviour. Intrigued by their decision making. Genuinely interested in how their lives pan out. I would go on to complete my undergraduate studies at Stanford University with a degree in psychology. I initially thought I would pursue a career in the legal profession, as I was interested in exploring the intersection of psychology and the law. But my passion for working with people led me instead to the field of education. I completed my master’s degree in Southern California and taught elementary school. My life took an interesting turn as I got married, started a family, and moved to the UK. At this time I chose to career pivot and follow my passion for working with people in the field of professional sport. I was constantly seeking methods of helping my high-profile clients (inc. world champions) achieve their best performance at the absolute highest levels. This was true for both their body and their mind. I qualified as a Master Level Coach, specializing in High Performance, and started working with clients around the world. I gained knowledge about different organisational structures, different leadership and communication styles, and different cultures. What’s my Why? A love affair with helping others achieve their personal objectives. Whether it be a focus on a challenging life transition you are facing, or a focus on improving your mind-set for a high-pressure work project, I embrace the opportunity to help in whatever way I can. We all have a tentative approach to change. One of my roles is to help build confidence around the decisions you need to make no matter what life event you are facing. A confidence that will either be immediate or built up over a period of time. I have always enjoyed talking to people; listening to their stories; and learning about their lives. I went to university later in life as I didn’t really figure out what I wanted to do until I did a foundation degree in healthcare. It was then that I decided I would work as a podiatrist. I spent 10 years working passionately for the NHS; investing lots of time and energy into my role and focusing all my energy on helping my patients. Then, as time went on, the role changed, and before I knew it resources were cut, and the time given to each patient was dedicated more towards paperwork than towards making a difference. I found that in order to provide a service I was happy with, I had to take my work home. My health began to suffer greatly, as did my personal relationships. My work/life balance was non-existent. I began to realise that something dramatic had to change. So, I took a couple of weeks off to really think about what truly made me happy, and what I concluded was that I felt most free and happy when I was exploring …. and I mean exploring the world. I absolutely loved the organization surrounding our trips abroad, where I would create comprehensive but very exciting itineraries for my family and I to follow. This also included helping friends with their travel plans. And so, without realising it before, I had already found my passion. With this in mind I made the decision to leave a job at the NHS and embarked on a new professional career path. My decision has resulted in be being happier, and healthier. I now direct my energy into making sure my clients are well looked after with their holiday requirements. With a focus on building long-term relationships, I’m able to learn and understand what type of holiday and travel planning each household requires. And in exchange, I get to see their wonderful photographs and hear about the new memories they’ve created.